Yes the vest has returned for its third time (first seen here, then here) and that only goes to show how versatile it is! 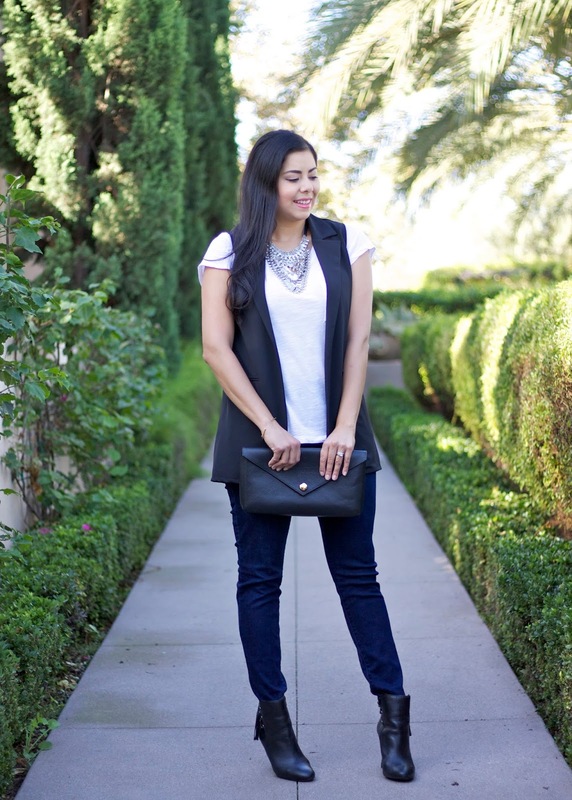 This time I layered over a plain white tee and my "knight" skinny jeans from Cabi to (again) give it that sleek feel. 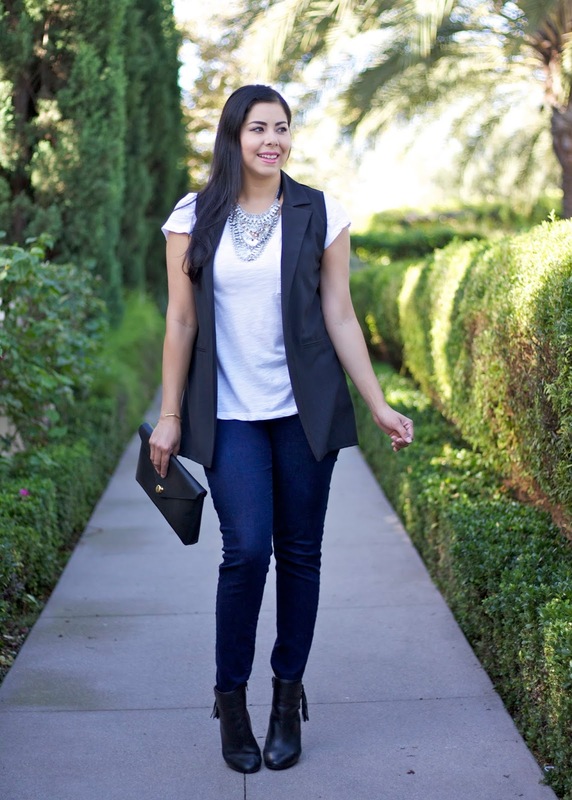 This was also the perfect opportunity to bring in the statement necklace, that also made its debut last post. 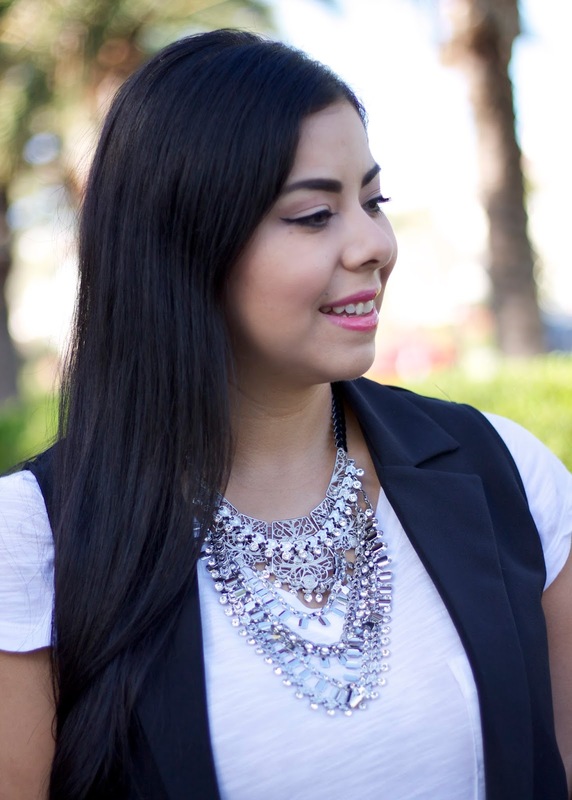 If ever you feel like your outfit is lacking a lil somethin' somethin' add a statement necklace it takes the outfit up a notch. Not convinced? Envision my outfit without it = plain Jane *sad face* Hope you all have a terrific weekend! 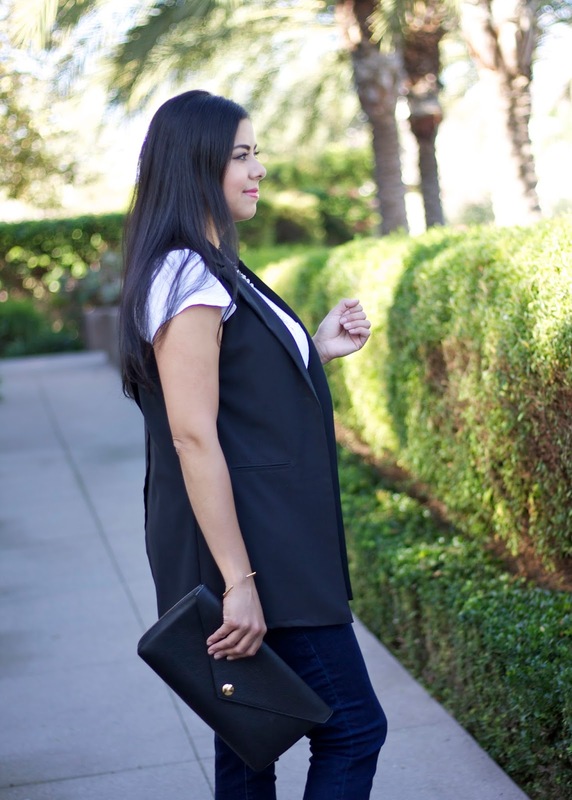 I can see why you like this vest so much...it's so sooo chic! I bought one similar to that from Forever 21. I bought it in a blush color. You look lovely in these photos. Your makeup is perfect! Such a chic look!! 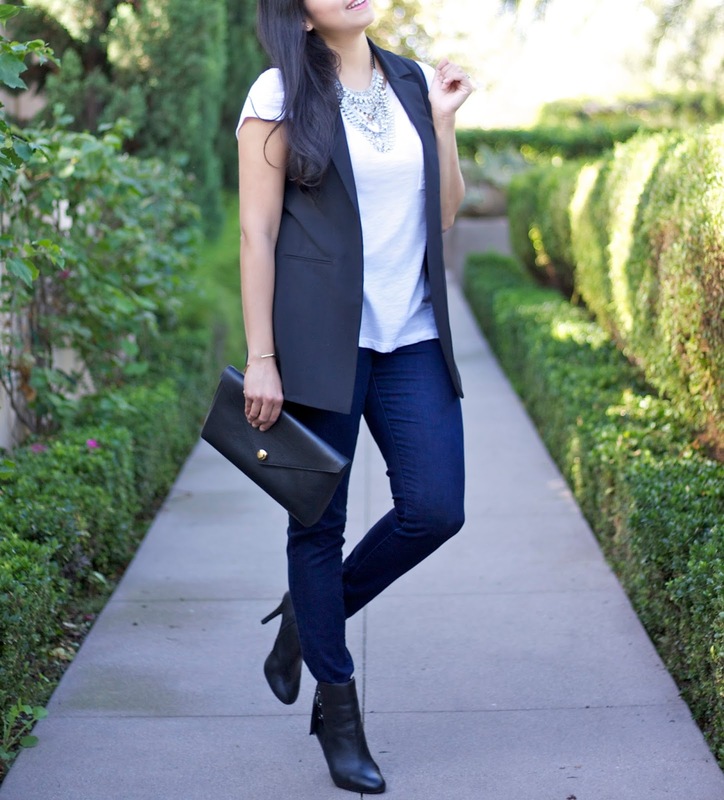 I am having a major crush on vests right now - and I love the length and how affordable this one is!